This is an amazing opportunity to explore and experience the amazing effects of sacred sound on all levels of your being. We are rediscovering the powerful properties and transformational benefits of sound that has been used for millenniums by many different cultures. Science has shown how the human body is comprised of millions of cells all vibrating at their own frequencies. We use sacred sound to help realign the cellular structure – clearing old traumas and stagnant energy to bring the body towards optimal health. We will also explore how a sacred sound practice can be incorporated into every day life to keep us balanced in a world that is full of so many unbalancing energies. The afternoon will consist of a Sound Bath with further discussion and a short question and answer time to conclude the day. A transformational journey with the ancestral sounds of some of the most resonant, tone producing instruments known to man. Feel the vibrational tones and overtones of the gong deep within the cells of the body…….ride on the sound waves of the Himalayan singing bowls and native American flutes which transcend time and space, feel the heart connecting resonance of the shamanic drum and the deep primal energy of the tribal ritual drum and other ancient instruments as they bathe you in subliminal sound. 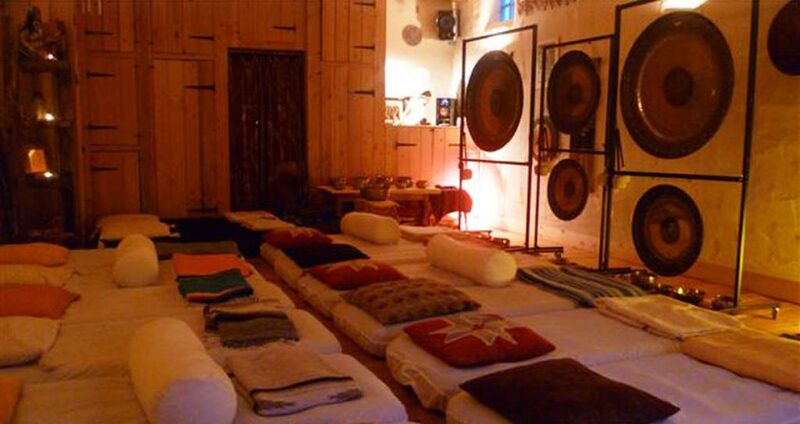 Sound Baths assist in clearing old traumas, blocks and patterns that no longer serve you bringing your whole being to a higher frequency much nearer to you true state or blueprint. Everything in your lifeflows more freely as the ‘stuckness’ is freed bringing you into balance. Deeply relaxing, cleansing and rejuvenating……you’ll never feel the same again……. The exchange for the day is £55 for early bird and £65 thereafter -early bird is usually around a month before the event.